I finally got around to putting a picture on the Simply Knitting Group Facebook page, of some the knitting I had worked on. 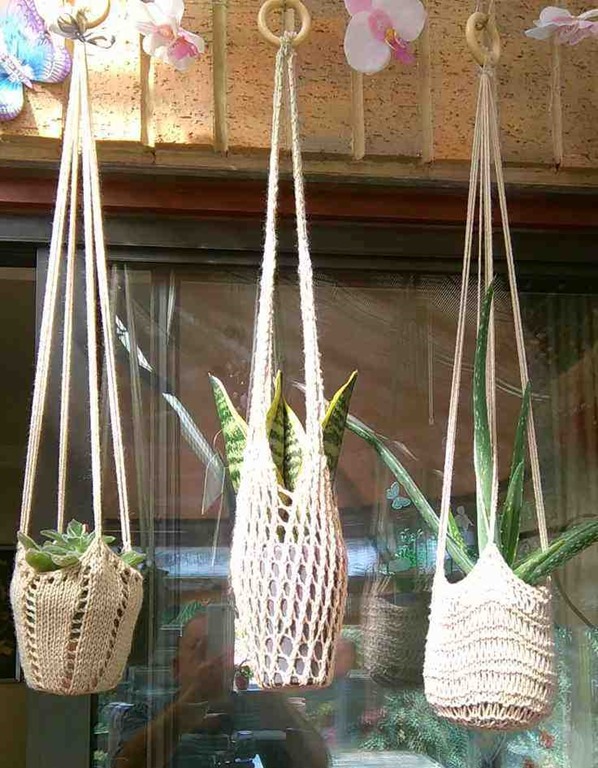 They are three plant pot hangers that were in the style of those macramé hangers from the 1970’s. When I knitted them, I found that one of the patterns was slightly wrong. I managed to work out what was wrong and was able to complete the knits. I emailed the magazine, the designer and the Facebook group about the error, and finally I got the response that I was expecting and the correct instructions were posted on the magazine website. Feeling a little chuffed with myself as I have got a few likes, which I wasn’t expecting. Whilst I bragging about my knitting ‘success’, I have to boast about another one. Way back in October last year, we had a new bathroom fitted. Just before the plumbers finished and packed up, one of them said he was going to fix the kitchen tap. Now the problem was that when K*** got the kitchen sink replaced, the ‘handy-man’ fitted the tap, but did not tighten it up fully. He claimed that he didn’t want to over-tighten the fitting and crack the sink basin and it had been loose ever since. The bathroom plumbers found this highly amusing and went on to explain that there was a silicon washer that prevented the tap from over-tightening. They fixed it and all was good for a while. Then recently I found that the tap had worked loose again. The plumber was due back again for a small thing and I cheekily asked if he could fix the tap again. Unfortunately the tool he needed had been lost on another job. 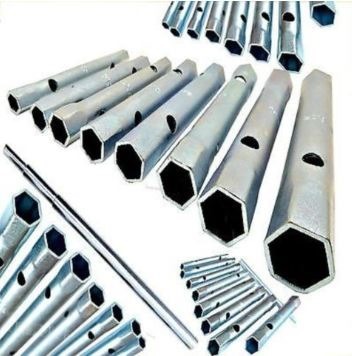 However, he explained that all I needed was a number 10 box or tubular spanner. eBay to the rescue. After a quick search, I found what I was looking for and am now the proud owner of a full set of tubular spanners and a fixed sink tap. In spite of the fact that I don’t like change, I’m experimenting with a different internet browser. For the past few years, I’ve flitted between Firefox and the Google Chrome browsers. I gave up on Internet Explorer (IE) years ago and find their new ‘go-to’ browser, Edge to be not dissimilar to IE. I finally settled on the Google offering about 18 months ago, and have been reasonably pleased (if that’s the right phrase) with it. However, over the past couple of months I’ve noticed that opening webpages/sites in Chrome has slowed down a great deal to the extent that sometimes the page/site just doesn’t even open. I’ve done all the obvious things like clearing down the cache, deleting offline pages and deleting browser history but it has not had much effect. So I have now installed the Opera browser and am testing it for a while. It seems faster (could not be slower) and I have managed to import all my shortcuts and bookmarks. So we shall see if it is any better.